Stefan Loristan, his young son Marco Loristan, and their faithful assistant Lazarus live in the most poverty-ridden part of London. They have a secret mission of their own - they hail from Samavia (a fictional European country), and are planning to bring about a revolution to overthrow the existing dictatorial regime in their country and bring in the rightful heir to the throne. A few decades back, the noble prince of Samavia had been usurped. There were mixed stories about how the prince survived the cruel mutiny. If that were true, the benevolent prince must surely have tried to get his Kingdom back, or at least would have passed on his burning desire to his sons. Marco is optimistic that the lost Prince’s bloodline can be traced, and he is passionate about restoring Samavia to its rightful heir. Along with his street friend, The Rat, Marco embarks on an adventure across Europe to pass on the sign to all the secret members of the confederation, to set out a revolution. This book is packed with beautiful themes on patriotism, friendship, resilience and righteousness. Marco’s good upbringing makes him wise, while still retaining his precociousness and innocence. Burnett yet again shows the power of the human mind. In this book, she brings in Buddhist philosophies, such as embracing the universe and all its creatures as one, deep meditation to distill your mind and seek out what you want, the power of prayers, peace, etc. to demonstrate Marco’s strength and maturity. Such elusive philosophies are broken down and shown in simple contexts to inspire young boys. 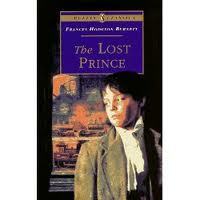 The little adventure, and the suspense of finding the Lost Prince will keep children engaged. But it unfortunately wasn’t enough to maintain my attention. I found the pace of the book a little slow and repetitive, and I struggled to stay focused. Perhaps this is a good enough hint that I have sadly grown up and should stop my current stint of indulgence. However, this is one of the first children’s book that I’ve read that deals with patriotism, and the attributes of being a noble and courageous leader. These aspects have been beautifully conveyed. This book as a whole has excellent morals to mold young minds.